In 2010, during our first look at the revised Lexus GX460, we likened the mid-size luxe-UV to a woolly mammoth. Surely, we pronounced, the wave of lighter, unibody crossovers with independent suspensions and more carlike driving characteristics—like the brand’s own RX and NX­—soon would relegate traditional truck-based body-on-frame SUVs such as the GX to a rarely traveled corner of a dusty museum. Well, snap. 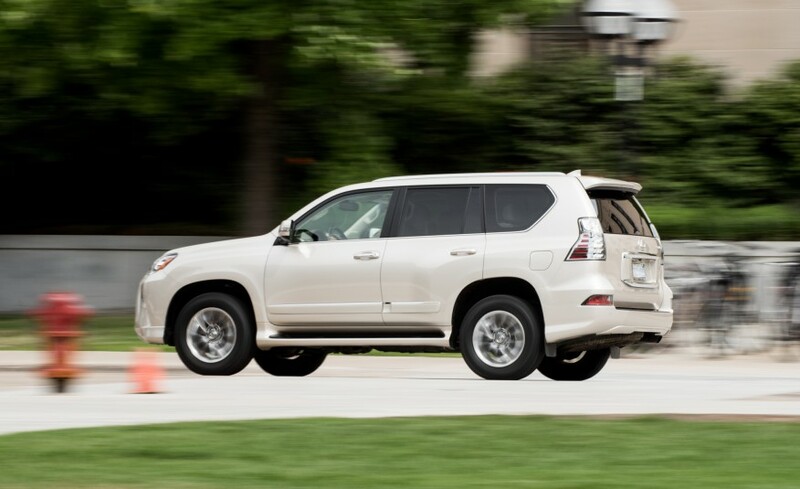 Last year, the GX460 was the Lexus brand’s third-best-selling SUV (even though the Lexus lineup had only four SUVs). In calendar year 2015, it gathered more buyers than the Audi Q7, Volvo XC90, Infiniti QX80, Land Rover LR4, andRange Rover Sport, and it nearly kept pace with the Mercedes-Benz GL. However, the Acura MDX, BMW X5, and the combined Mercedes-Benz M-class/GLE all outsold the Lexus by a ratio of more than two to one. It has certainly outlasted just about all of its mid-size, truck-based peers. Add in booming sales of other examples of the larger breed—Escalades, Navigators, and such—and the expected demise of the traditional body-on-frame SUV has been slower than anticipated. Blame cheap gasoline. 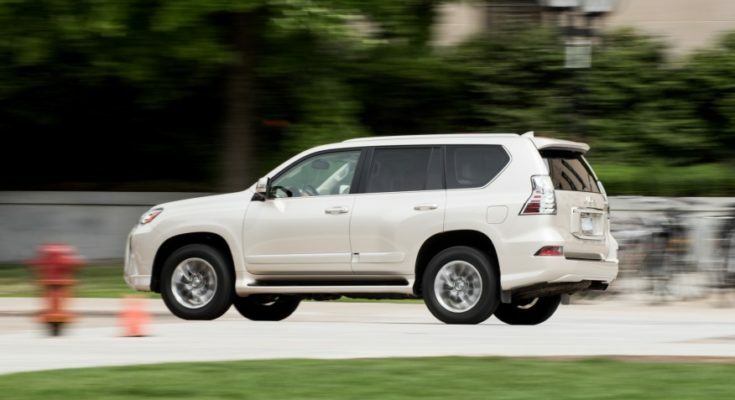 Soup to LuxeUnder the Lexus glitz, the GX is most closely related to the Toyota 4Runner—ladder frame, live rear axle, and all—but with a V-8, standard third row, four-wheel drive, and luxury accoutrements. A Toyota in a tux, if you will. It really hasn’t changed much since it first slithered out of the primordial soup as a 2003 model GX470. There’s some new technology, namely updated safety and infotainment items, but it’s still the same basic creature. Well, plus a distinctive, bigger-than-life spindle-shaped grille that arrived with the 2014 model and looks like it might just swallow whatever gets in its way. Big, Strong ArmsWhat the GX460 offers is surefire capability to get you there. Under a luxury veneer, the GX packs the same, fortified toughness that underpins the Land Cruisers that tackle all sorts of desert and mountain terrain around the world. The GX has big, strong arms to carry your load. The 4.6-liter silent, torque-rich, premium-fuel-guzzling V-8 seldom works up a sweat—although a 7.0-second zero-to-60-mph time won’t win many races against the GX’s peers. That engine is hooked to a well-behaved six-speed automatic transmission and confidence-inspiring full-time four-wheel drive. The 4WD has an electronically locking Torsen center differential and a low-range position we doubt many GX buyers will ever use or need. But like a bodyguard, it’s packing heat just in case. Swingin’ TailgateOnce ensconced, front-seat occupants will find their chairs comfortable. We can’t say the same for the hard-bottomed cushions of the reclining and sliding second-row seats, while the third-row seats—crammed into what should be the cargo bay—are suitable only for pre-adults agile enough to parkour back there. Unfortunately, there’s little usable cargo space available when the back seat is erect for use. Way cool and rare in modern SUVs, however, is the GX’s tailgate glass, which opens separately and is great for dropping in groceries and gear without having to open the entire tailgate. Said tailgate swings out to run parallel to the curb, just like Aunt Gertrude’s old Chevrolet Kingswood wagon. You’ll have to walk around to the traffic side to gain access—a constant reminder that the engineers in Japan who designed this vehicle drive on the other side of the road. Previous PostA Bevy of beauties – Porsche Next PostHow to Remove Wheel Clamps!